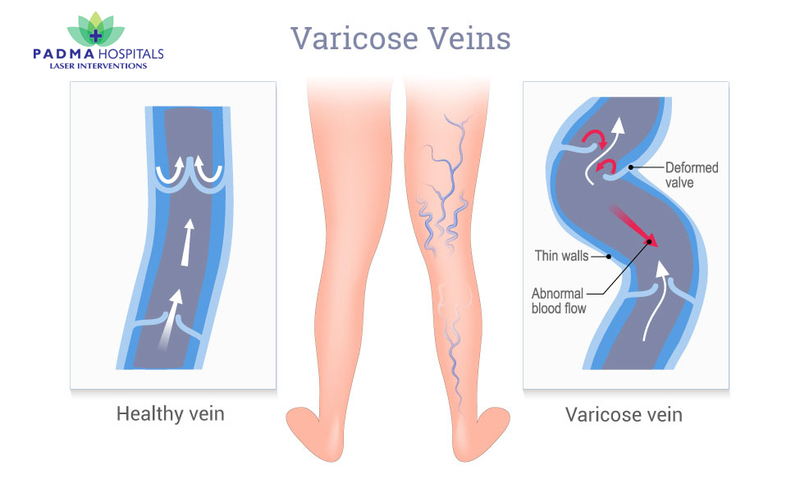 Varicose veins are enlarged twisted and swollen veins most commonly seen in the legs. But also occur in other parts of the body. Especially seen in occupations which involves prolonged standing or sitting like teachers, security guards, conductors, traffic police etc. Fullness, heaviness and pain in the legs. Swelling of feet or ankles. 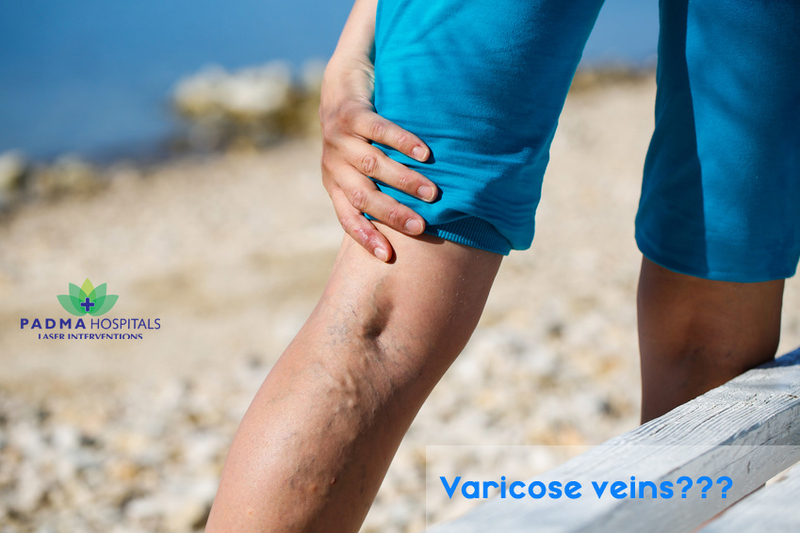 The most common cause is weakness of valves in the veins which results in reversal in blood flow in the veins and leads to varicose veins. Valves inside the veins ensure that the blood in the veins should not flow in backward direction. What tests are done to diagnose varicose veins ? 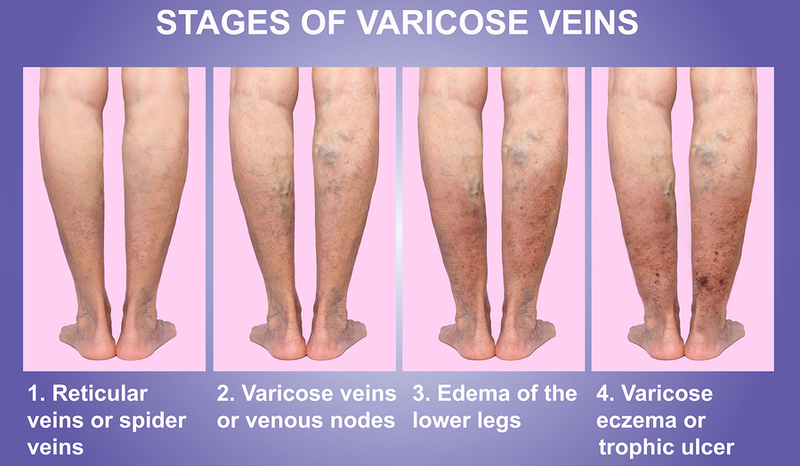 There is no medical treatment for varicose veins and surgery is the only treatment recommended worldwide. 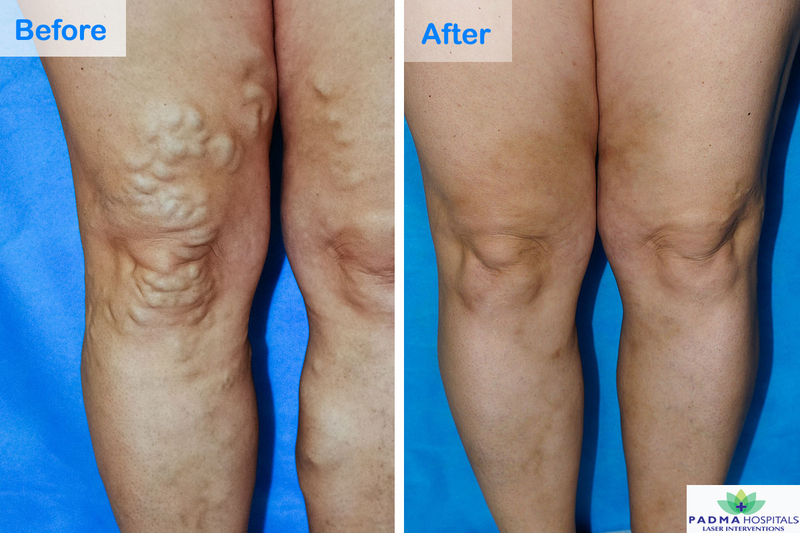 The smaller varicose veins are treated by sclerotherapy i.e, using of chemical injections to destroy the affected veins. The large varicose veins are treated surgically, which completely cures the problems. Surgery may be either by open surgical removal of the affected veins know as “Stripping surgery” or by a new minimally invasive laser technique(EVLT). 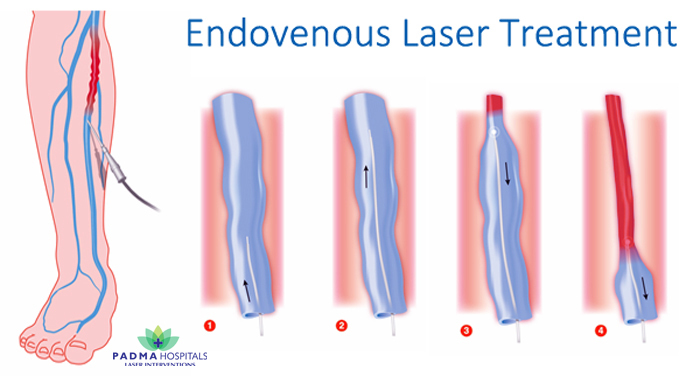 EVLT ,Laser surgery is a new technique in which the affected vein is not removed but lasered using a laser fiber. The advantages of this technique are: Safe and minimally invasive. Suffering with Varicose Veins? Let Dr Ramesh Pitchika help you to get rid of them with laser treatment. Varicose Veins may cause severe pain in your legs. Patients suffering from varicose veins could be able to walk without discomfort after the Laser treatment. Our specialist will treat the influenced regions keeping in mind the end goal to analyze and delineate the majority of your infected veins. Our advanced methodology will treat larger areas with less discomfort than tearing the vein. Our LASER treatment provides quick, comfort and long lasting results. Most of us think, LASER is risk; But It’s not. We have succeeded in treating many patients with outstanding results and that too without surgery. On the off chance that varicose veins and foot ulcers are causing you pain and much discomfort, you may wish to consider LASER treatment with Dr. Ramesh at Padma Hospital- laser interventions located in Miyapur, Hyderabad.